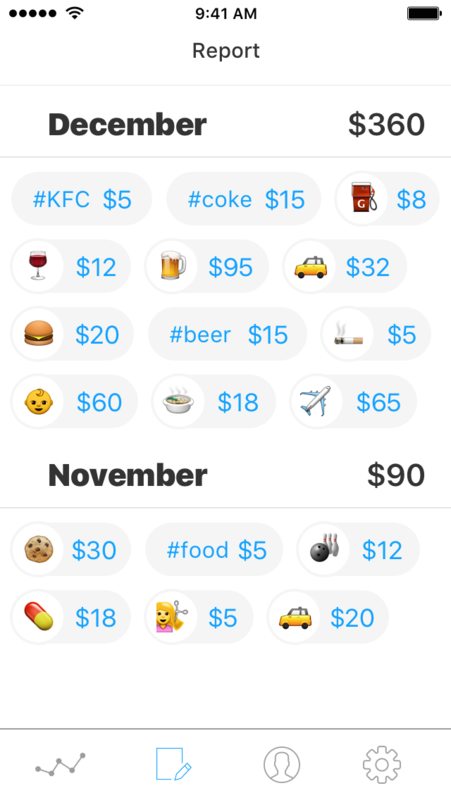 Use simple text and emojis like “ 10$ ” for recording your expense. 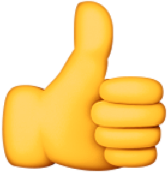 Automatic reporting based on #hashTags and emoji. Save time managing your expenses with our easy to use expenses App and it becomes a paperless. 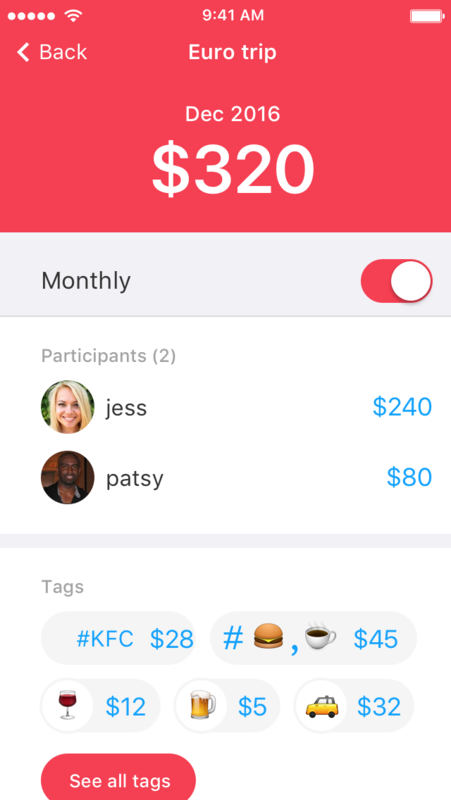 Just chat your expense on app. We take care creating expenses and report out of it. "Green tea morning 10$ at Costa #health #refresh”. And be healthy from next time. 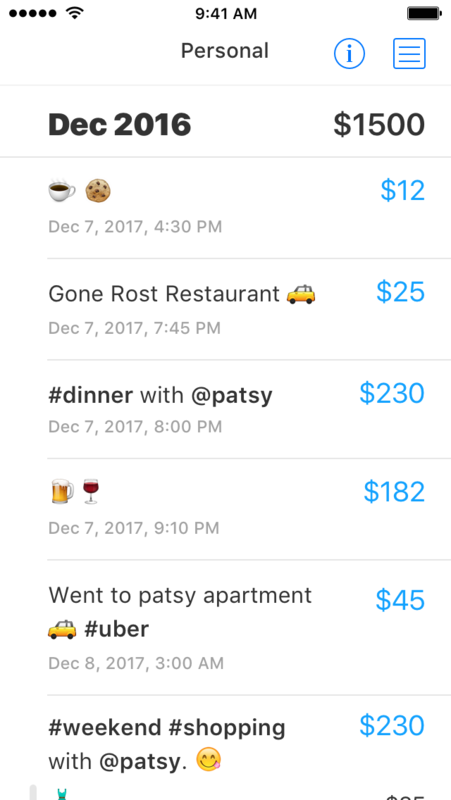 Set a challenge on tags expenses and track, It helps you to control habits. 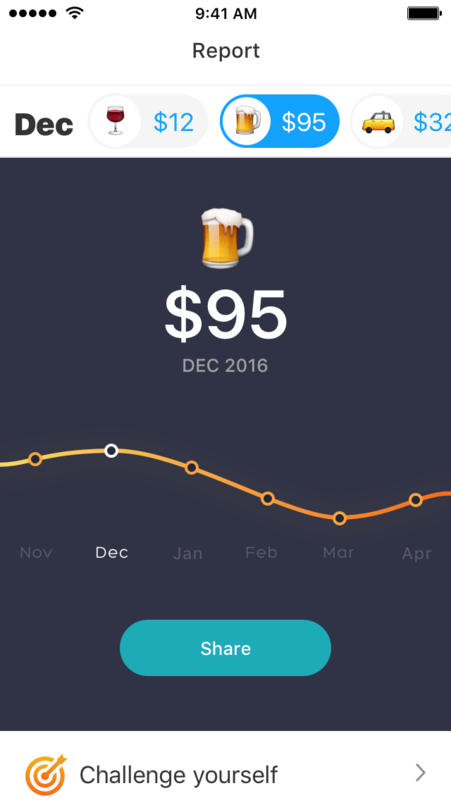 Create different topics to track and report expenses separately. Invite people to contribute on different topics.
" Work, Family , Party ". Quick overview of your hashtag or emojis report on iOS Widgets and on Apple Watch. You can customise the what report you want to see on widget or watch. 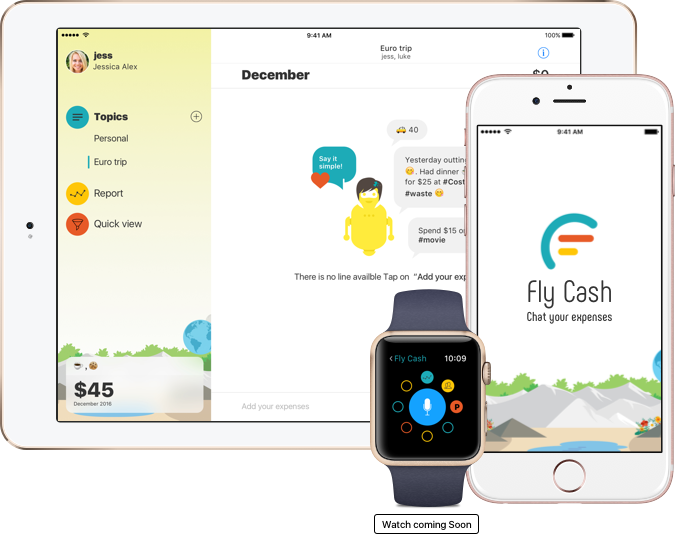 Fly Cash app wants to improve your expense tracking routine and help you understand where your money flies. We have used the power A.I concept to improve the app experience. A dedicated team at Roanuz is going crazy to make this better everyday. Will be available for free on iPhone, iPad, Watch, Android and Web. works seamlessly across all major devices. © Roanuz Softwares Private Ltd.